Edited by Jack Brink and John F. Dormaar. Written by Shawn Bubel, James McMurchy, and Duncan Lloyd. Volumes 1-10 $25.00 plus $10.00 postage, add $5.00 postage for each additional book. No GST! Volumes 11-13 $35.00 plus $10.00 postage, add $5.00 postage for each additional book. No GST! Edited by Les Davis, Brian Reeves and Joanne Braaten. This publication is a collection of 14 papers with 21 contributors, stemming from a symposium in honour of Richard D. Forbis’ life and scholarly contribution held at the 57th annual Plains Anthropological Conference in Sioux Falls, South Dakota. Written by Brian Vivian, Amanda Dow, Janet Blakey and Jason Roe. 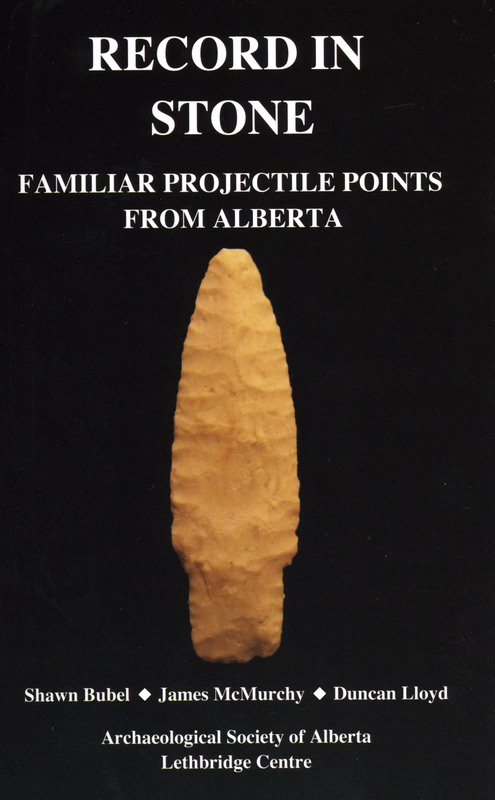 This volume introduces three archaeological sites found on the outskirts of Calgary, which date between 7,000 and 8,000 years ago. The Everblue Springs site (EgPn-700), the Gooseberry Kill (EgPn-625) and the Snack Site (egPn-633) are all early bison kill sites found in association with an assemblage of large corner notched projectile points. These three sites make a significant contribution to clarifying the nature of cultural adaptations on the Northern Plains in this early time, which is considered to be transitional between the early Palaeoindian and the Middle Prehistoric periods. 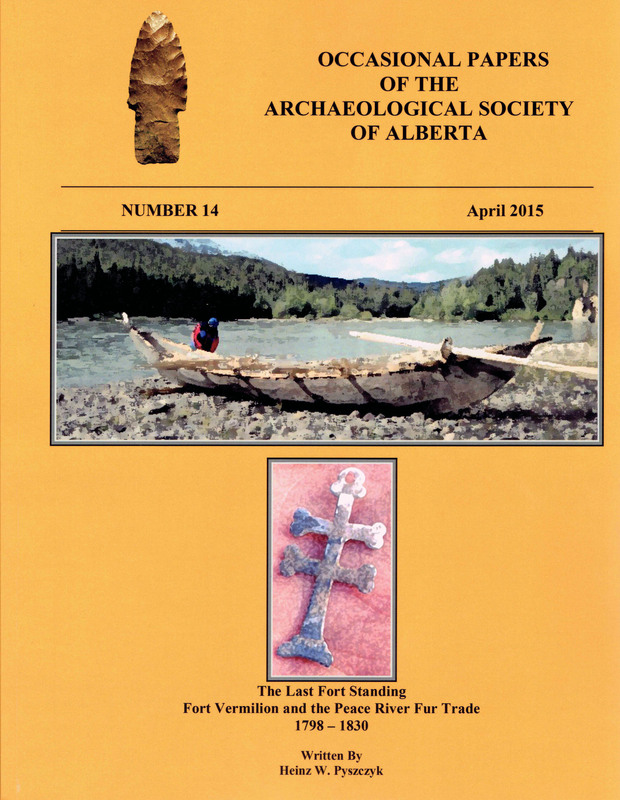 This volume presents the results of a three year program of archaeological research undertaken at 21 sites within the reservoir of the Oldman River Dam. Landals summarized the results of the killsite mitigations program. DjPm-116 can be considered a large, classic, communal bison jump. DjPm-80 and DjPm-126 are considered Protohistoric single-use bison jumps and the remaining killsites are much smaller and believed to represent small group and encounter hunting. Site DjPm-24 is interpreted as the remains of a frozen meat cache. Archaeological investigations at the site of the Oldman River Reservoir were initiated in the mid 1960s. This project summarizes the campsite project that involved the assessment and archaeological excavations at 23 prehistoric sites between the mid 1960s and 1990. There were 1,591.5 square metres excavated over the course of the program, resulting in the recovery of 343,349 artifacts. Excavations revealed more than 9,000 years of occupation in this area. The Long Creek Site was excavated in 1957 as part of an impact assessment of the Boundary Dam construction and subsequent reservoir. The site was the deepest stratified site that had been uncovered on the Northern Plains at the time of excavation. The cultural chronology at the site helped define the chronology for the entire northwestern Plains region. Archaeological investigations over the past 45 years have uncovered a wealth of knowledge, which when applied to the Long Creek assemblage, change our interpretation of it. 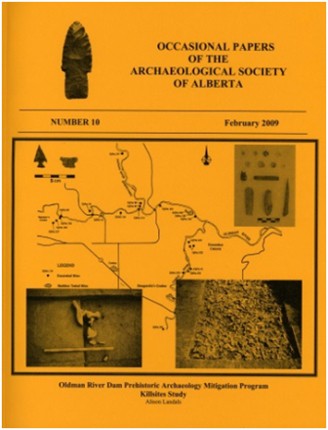 In 2000, a Historical Resources Impact Assessment and Mitigative Archaeological Excavations were undertaken at Cougar Ridge Off-Site Sewer Servicing Project located on the East Paskapoo Slopes south of the Bow River in the city of Calgary. This HRIA located and evaluated eight precontact sites on the slopes. Mitigative excavations were carried out of four of these sites. EgPn-343, EgPn-589 and EgPn-362 are campsites and EgPn-506 is a bison pound. On behalf of TransCanada Pipelines Limited, Fedirchuk McCullough & Associates Ltd. Conducted excavations at the Miniota Site, located in southwestern Manitoba. They discovered that the site had one of the best-preserved Avonlea phase occupations discovered in Manitoba. A rich array of cultural materials, including stone tools, ceramics, bone tools, and faunal remains were found in an occupational floor sealed by approximately 120cm of sterile clay/silts deposited by the Assiniboine River. This site was interpreted as a single occupation residential camp occupied for several months, from mid-winter to early-spring. This dissertation has re-examined the latest precontact-early contact archaeological assemblages of Southern Saskatchewan and related material in northwestern Montana, northwestern North Dakota and southwestern Manitoba. The Mortlach Phase, first proposed by Joyes (1973) and often questioned by other investigators, is redefined and offered again to the archaeological community. Written by Thomas Head, Wendy Unfreed and Les Gorham. A detailed site report of the excavations carried out by Bison Historical Services at the stratified, multi-component Middle Pre-Contact Period site located in south-central Alberta. In 1994, a group of elders from the Siksika Nation choose to name the site after Saahkómaapína or Boy Chief. This report provides a picture of the site’s use. Beginning around 4,500 BP, the site was occupied during the Late Mummy Cave, Oxbow, Hanna, and Pelican Lake phases.